Two-channel guitar head built using VASA (Valve Architecture Semiconductor Amp). The analysis of classic tube amp work made it possible to create an amplifier which features non-linearity, compression and typical for tubes distorted sound. A distinctive feature of AMBER is the overdriven sound of power amp section and the output power/volume control system. Thereby the volume change for overdriven tones is made by true change of the output power which guarantees fixed timbre within full volume range. The architecture of transformer power amplifier also allowed to achieve constant output power for 4, 8 and 16 ohm speakers. AMBER features a CLEAN/CRUNCH type channel and OVERDRIVE type channel. Each of these channels has its own passive EQ section and is able to work in one of six modes with different compression and gain. The possibility of saving channel modes extends the range of available sounds while playing. Power LEVEL function (which can also be saved) makes it possible for the user to control the volume while playing. The whole amplifier is complemented with the high-quality digital reverb, enabled FX loop, four push-buttons footswitch and MIDI input and output. The selected footswitch mode allows to adjust the functionality of the amplifier to the preferences of the player. 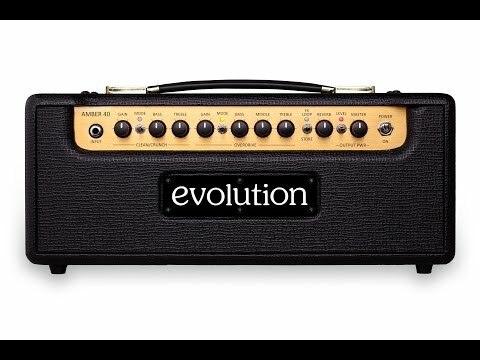 There are six modes: from the simplest, as in typical two-channel amps, to the modes using banks and presets. The MIDI input allows to control the amplifier by the MIDI controller, while the MIDI output allows to control the MIDI effect by the amp. CLEAN/CRUNCH channel includes GAIN control, MODE indicator and switch, BASS and TREBLE controls. When channel is active, the OUTPUT POWER LEVEL indicator shows current power/volume level of the channel. The channel has the following MODEs indicated by colour. Each MODE is specified by three parameters: BOOST – extra gain, CONTOUR – cut mid frequencies and COMPRESSION (valve type nonlinearity). Valve type compression-nonlinearity add more sustain for CLEAN sounds and make specific CRUNCH sounds. The higher settings of GAIN control and channel MODE with more BOOST makes sounds more crunched due to power amp clipping. Channel MODEs and OUTPUT POWER LEVELs can be STORE for each channel or preset. It allows you to have more CLEAN /CRUNCH sounds with required volume while playing. OVERDRIVE CHANNEL WITH OUTPUT POWER AMP OVERDRIVE. The channel includes GAIN control, , MODE indicator and switch, BASS, MIDDLE and TREBLE controls. When the channel is active, the OUTPUT POWER LEVEL indicator shows current power/volume level. The channel has the following MODEs indicated by colour. Each MODE is specified by two parameters: BOOST – extra gain and COMPRESSION (valve type nonlinearity). Due to true output power control future the overdriven sound is generated at the output power amp stage. Either GAIN control and BOOST of the channel MODE define overdrive saturation. OUTPUT POWER LEVEL and MASTER control define loudness of overdriven sound. The master section includes FX LOOP, REVERB effect and OUTPUT POWER LEVEL switch and MASTER control. AMBER features an enabled (by footswitch button or as a preset parameter) serial FX LOOP with signal level switch. REVERB control sets loudness of the room reflection added to the dry signal. allows to differentiate the volume of each channel or preset. The MASTER knob sets the overall volume of the amp. Change of the loudness by either OUTPUT POWER LEVEL and MASTER control does not affect the sound of the amp. 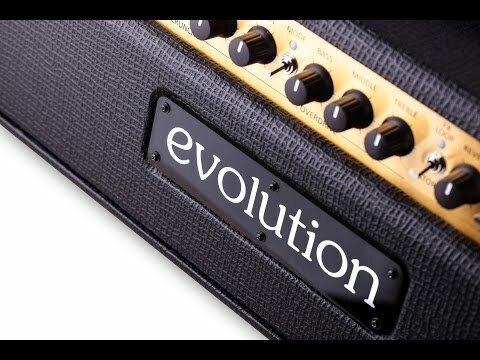 Possédez-vous Evolution Amps Amber 40 Amp , ou avez-vous eu l'occasion de l'essayer?